With a suble yet contemporary design the Algonquin set gives you a sense of awe. 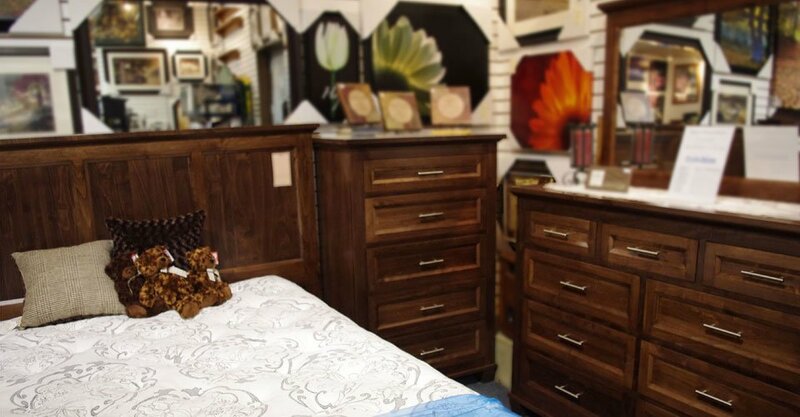 Handcrafted from solid wood with Dove-tailed drawers and full extension drawer slides this suite is built to last for decades. Available in Maple, Oak, Cherry, and Wormy Maple with your choice of Stains and your choice of bed size (single, double, queen and king). 9 drawer Dresser – 60.5w x 43h x 19.5d Inches.